Diamonds, Watches, Necklaces, Coins & More! When the jewelry in your collection no longer matches your lifestyle, or if it is broken and unwearable, Used Jewelry Buyer makes the process of selling jewelry, watches and other heirloom pieces in St. Louis easy, profitable and satisfying. 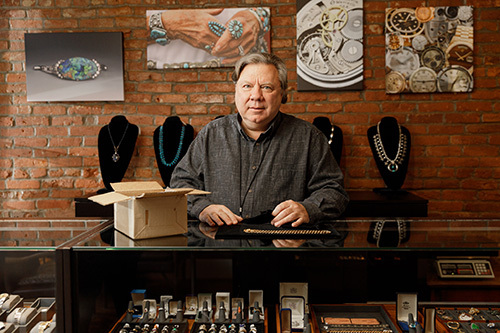 You can rest assured that owner Brian Hill will personally handle and evaluate your jewelry. Unlike other gold and silver buyers, we specialize in not only working with scrap gold but also knowing the value of branded jewelry like Tiffany & Co., Rolex, & Cartier to name a few. This allows us to offer our customers the highest price the market will allow. Private home or office visits available by appointment. Browse our eBay store to find hundreds of fine jewelry pieces. Use our Platinum, Silver & Gold Calculator to easily calculate an approximate value for your scrap jewelry items based on today's current market prices. With this tool you can calculate your platinum, silver and gold price per gram, tory ounce or pennyweight. Meet St. Charles Buyer Brian Hill. Brian has over 30 years experience in the jewelry industry. His extensive knowledge about antique, period, estate and mod ern jewelry you can be sure you’ll receive the highest price on your unwanted valuables.